Whether you’re looking to build a stable to house the family pony, or an american barn with individual stables and hay barn, to an indoor riding arena or covered dressage arena, Falcon Steel Buildings have the knowledge and experience to help make your perfect equestrian building a reality, without breaking the bank. We design and build functional, well laid out, visually pleasing equestrian buildings to suit any budget and taste. Being made from 100% galvanized steel, with plastisol PVC coated exterior cladding as standard, our buildings offer the most durable solution around, and unlike other commonly used materials such as timber, are completely maintenance free and guaranteed for 25 years. We can also promise you’ll never see the inside of one of our buildings chewed to pieces by its inhabitants! As a family owned company, we have many links to the rural and equine communities, and all of the family members employed in the company today have been lucky enough to grow up around horses; some even competing, with varying degrees of success (many years ago the writer had the pleasure of being the last to leave a cross-country, after “dismounting” early in the day and being unable to catch my faithful steed until dusk!). 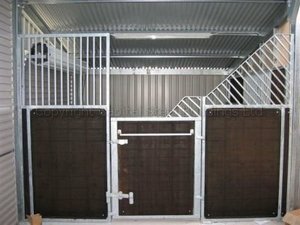 The unique combination of our own experience with horses, and our unsurpassed steel building expertise, together with our cutting edge design and manufacturing process put us head and shoulders above the competition. 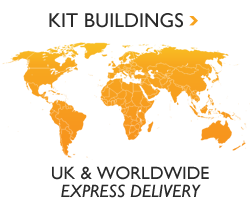 We guarantee all our buildings, their components, and the associated services we deliver will exceed your expectations. 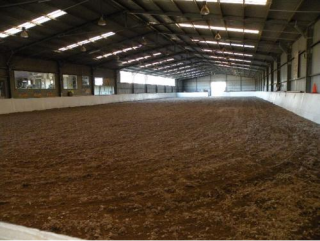 Our ultra efficient erectors can have your equestrian steel building ready for occupation in record time, leaving you free to make the most of them. 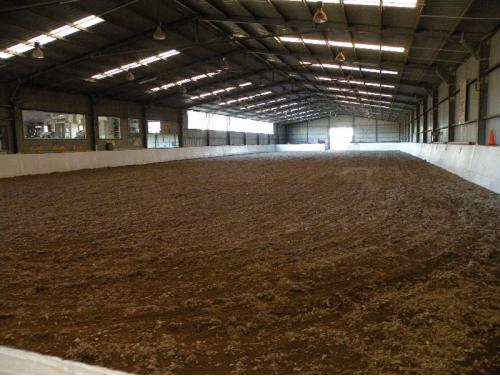 Most of our stable blocks, tack rooms and smaller barns are erected in a few days, and even the largest indoor riding arena construction can usually be completed within a week or two. Whether you require our fully managed turnkey service including planning application, a supply only kit building or anything in between, you are assured of the same commitment to service and attention to detail.